The cost of real estate financing is often greater than the original purchase price of a home (after including interest and closing costs). Because financing is so important, buyers should have as much information as possible regarding mortgage options and costs. Realtor.com® provides consumers with extensive mortgage information as well as a variety of loan calculators. Local REALTORS® can provide mortgage information, discuss financing options and recommend loan sources. In addition, some REALTORS® also originate loans. How much down? Loans with 5 percent down or less are available – in fact, loans from major lenders with no money down have appeared in recent years. If you place less than 20 percent down, lenders will want the mortgage guaranteed by an outside third party such as the Veterans Administration, the Federal Housing Administration or a private mortgage insurer (required by lenders to protect against a mortgage default). Millions of VA, FHA and PMI loans are generated each year. Are you a first-time buyer? It might seem that “first-time buyer” means someone who has never owned property before, but under most state programs, the term refers to those who have not owned property within the past three years. State-backed first-timer programs often feature smaller downpayments and below-market interest rates. For details, speak with your local REALTOR®. 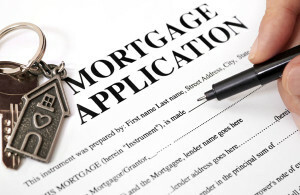 To obtain a loan you must complete a written loan application and provide supporting documentation. Specific documents include recent pay stubs, rental checks and tax returns for the past two or three years if you are self-employed. During the pre-qualification process, the loan officer will describe the type of paperwork required.